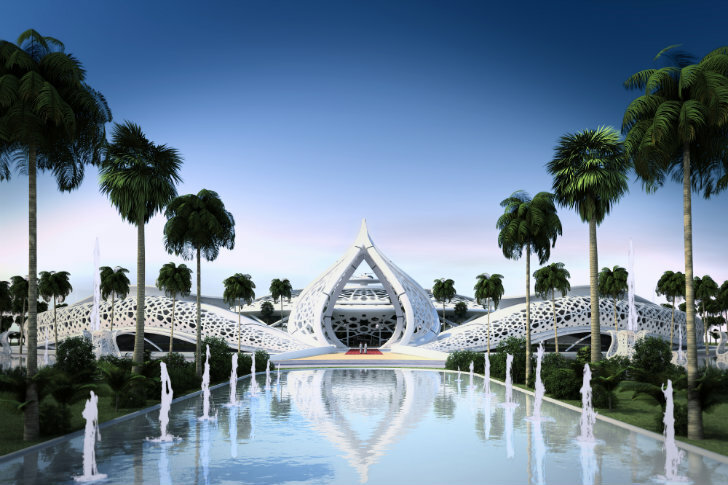 <a href="http://sanzpont.com/" target="_blank">Sanzpont Arquitectura</a> just unveiled plans for a luxurious and sustainable palace for Qatar. 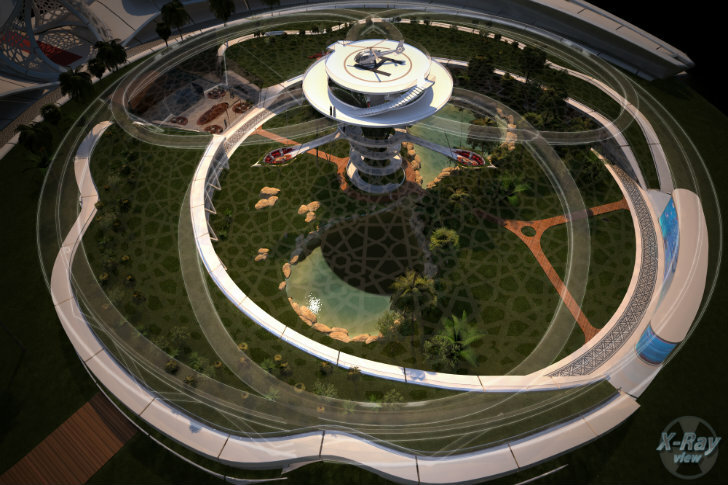 Based upon the concept of the Sidra Tree, the <a href="http://sanzpont.com/ficha.php?sec=proyectos&amp;lang=en&amp;path=web/proyectos/2_residencial&amp;p=2013-12-12-A_Palace_For_Nature" target="_blank">Palace for Nature</a> is a lush and shady oasis in the middle of the desert. 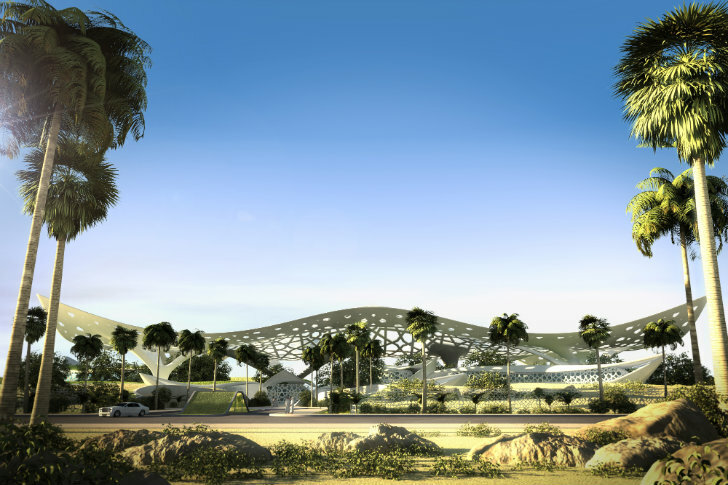 Desalinated and reclaimed water irrigate the botanical gardens, while integrated photovoltaics generate electricity for the grand space. 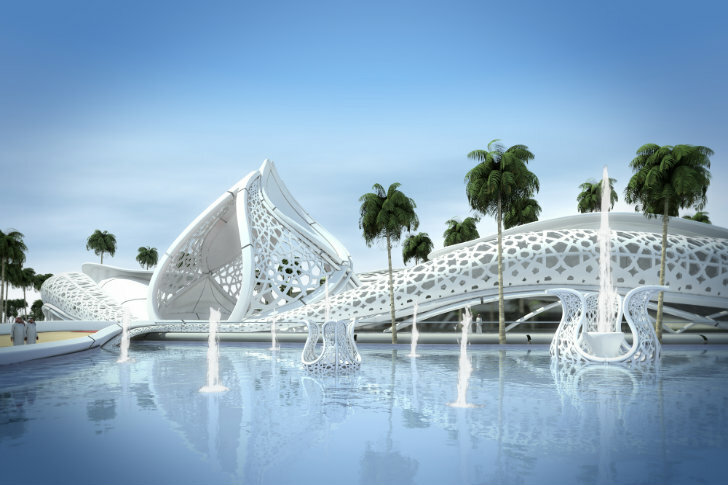 <a href="http://sanzpont.com/" target="_blank">Sanzpont Arquitectura</a> was invited to submit a proposal for an international restricted competition to create an innovative, ecological palace in Qatar. 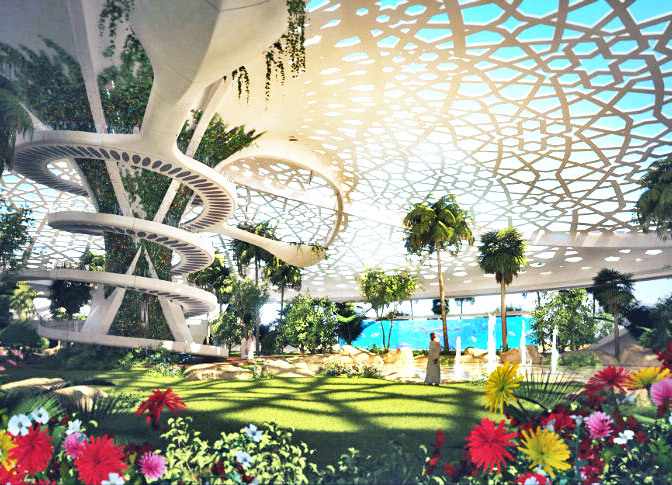 Their "A Palace For Nature" proposal balanced luxurious space with meaningful design that promotes life and nature. 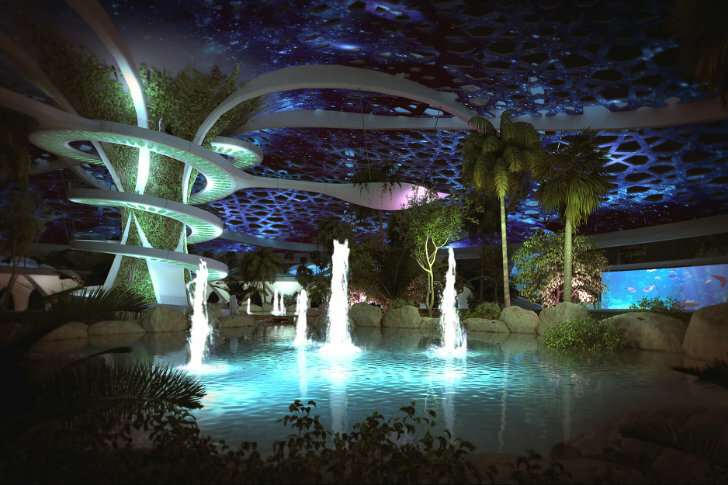 The palace is composed of a series of indoor and outdoor gardens, pavilions and water features. 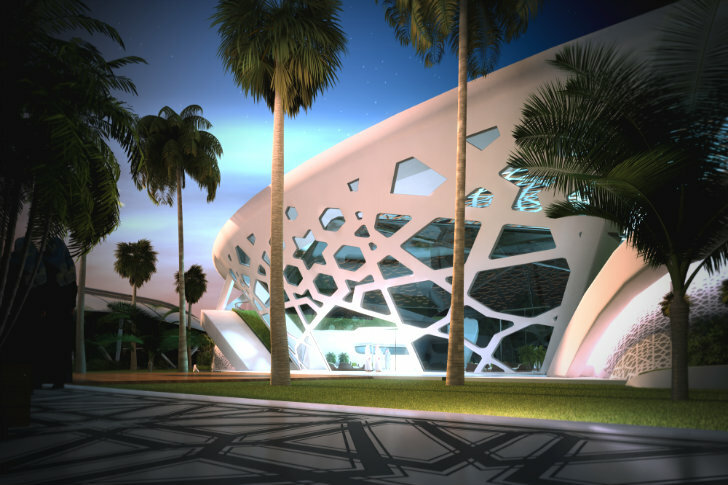 The main space is an oasis covered by a perforated dome inspired by the leafy branches of the Sidra Tree, which is native to <a href="https://inhabitat.com/tag/qatar/">Qatar</a>. 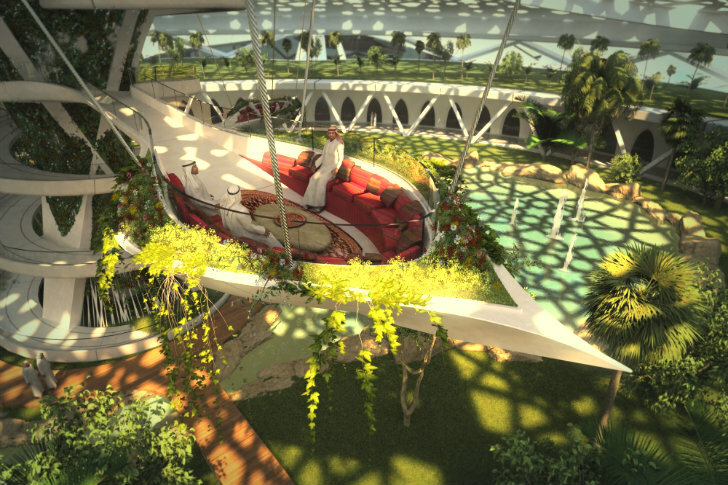 The dome is filled with lush vegetation and water features, and it contains places for rest, relaxation and socializing. The palace and gardens are kept cool and comfortable thanks to a microclimate created by a mist irrigation system. 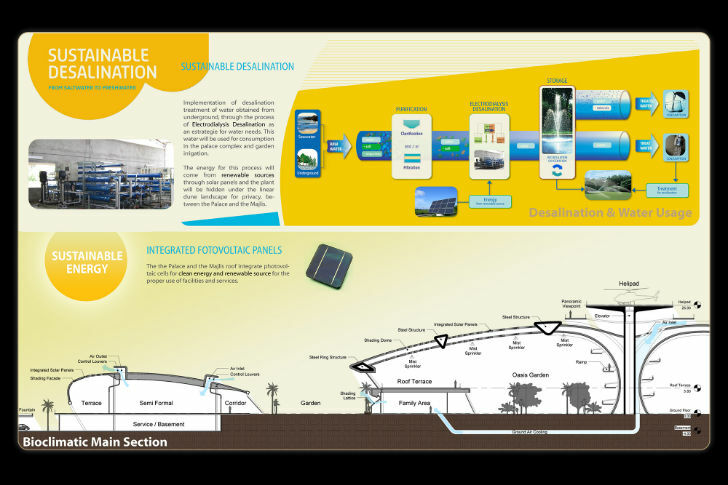 Water is sourced from an underground aquifer and on-site <a href="https://inhabitat.com/tag/desalination/">desalination</a>, and all water is reclaimed through a grey water system and stored in landscaping lakes and water features. Daylighting and natural ventilation reduce energy use, while integrated <a href="https://inhabitat.com/solar-power/">photovoltaics</a> provide electricity to run the various systems included the artistic <a href="https://inhabitat.com/tag/LED-lighting">LED</a> nighttime lighting features. 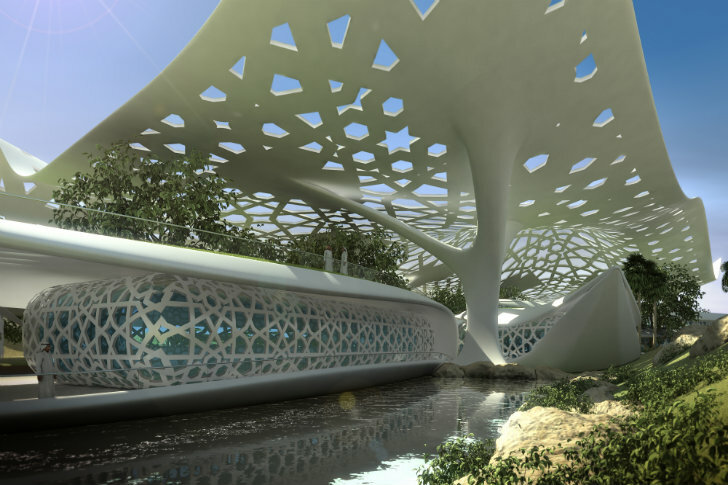 The parametric design was inspired by the Sidra Tree. Overview of the main palace. 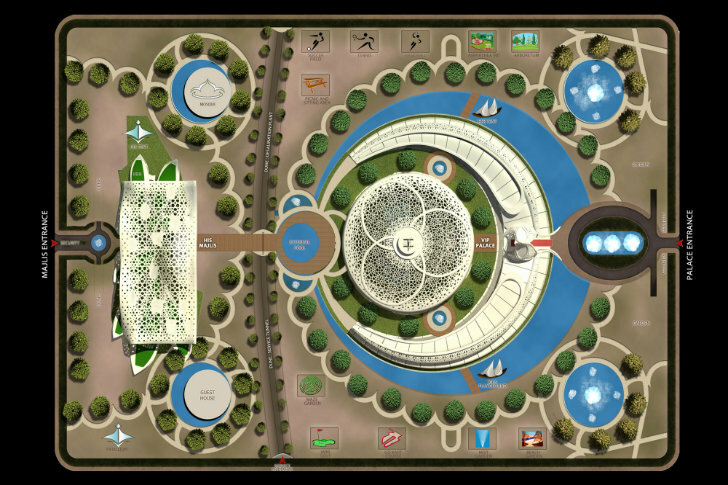 Site plan of a Palace for Nature. 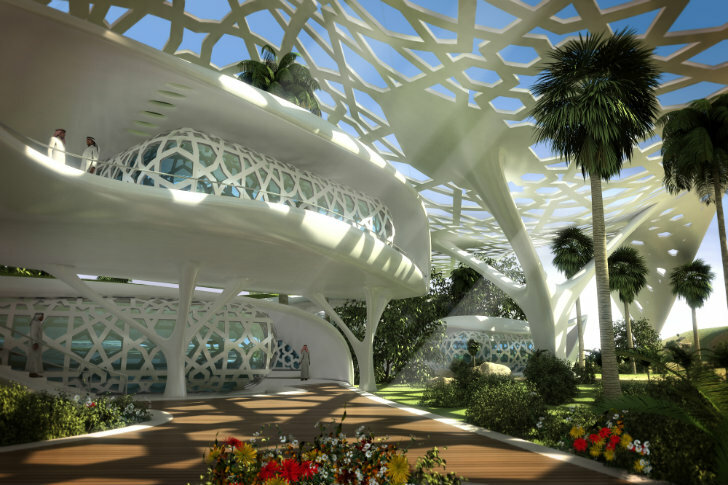 Sanzpont Arquitectura just unveiled plans for a luxurious and sustainable palace for Qatar. 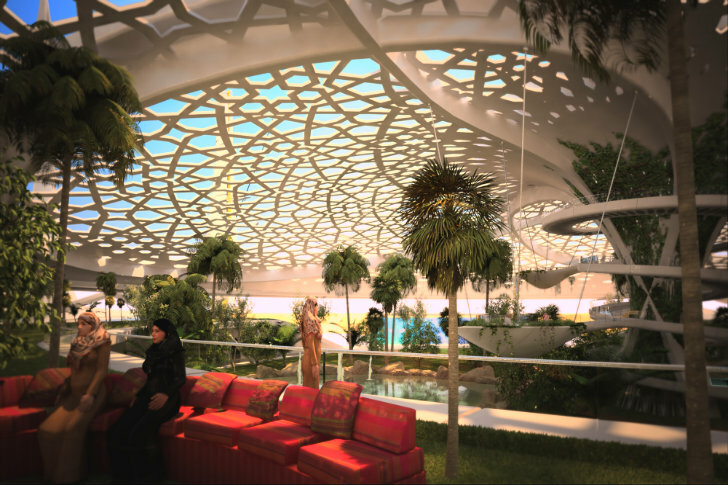 Based upon the concept of the Sidra Tree, the Palace for Nature is a lush and shady oasis in the middle of the desert. 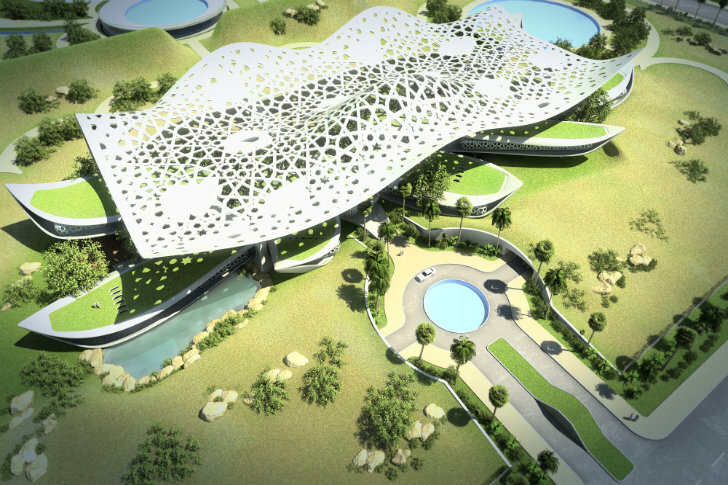 Desalinated and reclaimed water irrigate the botanical gardens, while integrated photovoltaics generate electricity for the grand space.